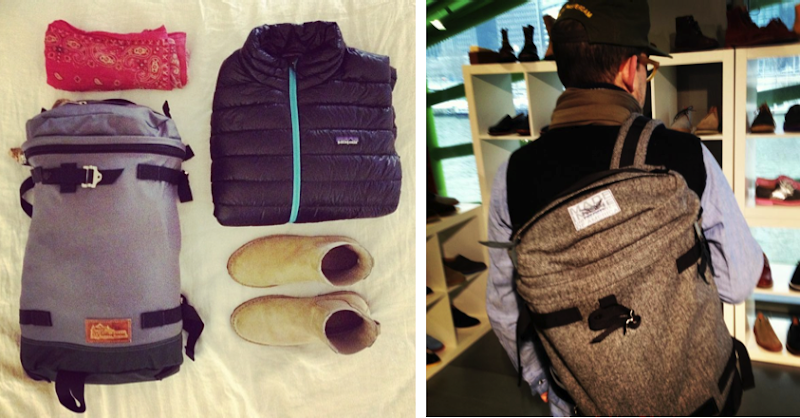 My Instagram photo on left, Mark McNairy on right via the Kletterwerks Facebook page. This is a collaboration I was instantly on board with. 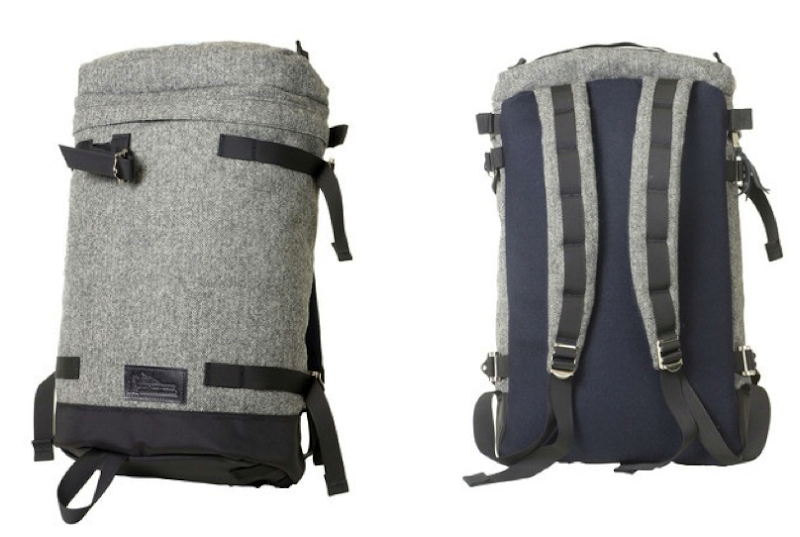 First, I'm a huge fan of Kletterwerks backpacks out of Bozeman, Montana. Last month I took a quick trip to Jackson Hole, packing just the Kletterwerks Flip bag and that thing holds up! It held my laptop, camera, winter clothes and left me room for a few Christmas gifts—and it fit easily in small overhead bins. It's comfortable and easy to navigate too. I'm also a huge fan of the (mostly) men's shoe designer Mark McNairy and his many collaborations (especially his collaboration Bass Weejuns). Long story short, this is a partnership I am really into and if I didn't already have a Kletter Flip Bag ($197), this would be a tough one to resist. The McNairy X Kletterwerks Flip bag ($375) is made from bonded Woolrich wool, is made in the USA (as all Klettlewerks bags are), and will be available to ship on January 30th. Awesome looking! I can never have enough bags. @Nomadic D, good question. I like mine because it's simple and not too techy looking, but still smartly designed. For example, there's a lap top slot inside and functional straps on the outside if you need to add cargo. It also holds a ton of stuff, way more than I thought it would, even the top lid pocket holds more than I thought. It's comfortable even when it's heavy, although I did wish a few times that there was a waist strap while I was lugging this thing packed for 24 straight hours. I also really like the look and feel of it. Hope that helps! Thanks for getting back to me! Sometimes these things look so intriguing just from a photo and a small blurb, but even so it's always nice to here your actual experience! I just heard from Kletterwerks that there were only 7 of these packs made, so if you're too going to get on it...do it now! Who makes the boots in your instagram pic?? Wow, these are incredible. Love the grey wool. Have you seen TOPO Designs Klettersacks? @Meg hadn't seen that! Soooo cool! Thanks! @Lizzie, is it true there were only 7 made? I just received mine yesterday and it's every bit as beautiful as it looks online. The coolest part is the dark navy wool back panel. It just screams over-the-top quality. Just heard from the horse's mouth; 7 total were produced. Awesome. What kind of Patagonia is pictured? The blue zipper is nice! @Anon it was a men's version of a limited run jacket from a few years ago. I'm pretty sure it's no longer.